An expert in the aviation sector, Engr. Francis Akinwunmi, has expressed worries over the dominance of Africa’s aviation industry by the foreign airline operators. He said that a situation where 80 percent of carriers operating in Africa are non-Africans, leaves much to be desired. 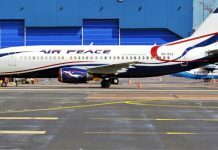 Akinwunmi who disclosed this in a chat with airport correspondents shortly on arrival at the Port Harcourt International Airport on Tuesday, noted that Nigeria is a signatory to the Yamoussoukro Decision, and is committed to Single African Air Transport Market (SAATM). According to him, the fact that air transport promotes trade, investments and tourism can not be over emphasised, adding that it similarly boosts economic growth. “Today, aviation industry in Africa adds $73 billion to the continents annual GDP. It employs about seven million people with average of about 130,000 people per country in Africa. “ With the rapid development and increasing population, urbanisation and income growth for the middle class, the aviation industry is projected to grow by five percent annually for the next 20 years”,he said. 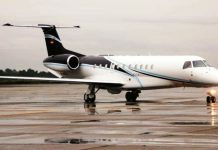 The aviation executive who specialises in flight operations, also expressed worry that the cost of air travel in Africa remains exorbitantly high, adding that it is 200 percent higher than costs in European Union and 25 percent higher than cost in India for similar distances. Akinwunmi, however, urged investors in Africa growth, as well as develop regional hubs to improve connectivity.to invest more in airline business, pointing out that airport terminal capacity need to develop to expand passenger growth, as well as develop regional hubs to improve connectivity.